Magazine is like this binding force that galvanizes the arts, creative, business, and lifestyle communities, and communicates talent and intent to the consumer. Globally recognized mega stars like Rihanna posting her recent Allure cover, and Beyoncé posting her latest Vogue cover, are sound testament to this truth: No matter how established, how accomplished, how rich, or how famous an artist, entertainer, or celebrity becomes, magazine coverage elevates their perspective and extends their reach, expanding upon the scope and magnitude of their announced purpose and its associated project. Mags represent the Glow Up, the Reign Bow, etching effervescence in stone like hieroglyphic blunts encasing platinum sativa: Certified shiny high on sensational levels few are so fortunate to feel. • The typical LOOT & RIOT reader is between 13-34, well educated or currently enrolled, professionally appointed, independently wealthy, or a self-employed entrepreneur, affluent and trend seeking; an out-going, binge shopping party guest who values high quality over low cost and is a very brand conscious smart device user who travels internationally and speaks a foreign language. 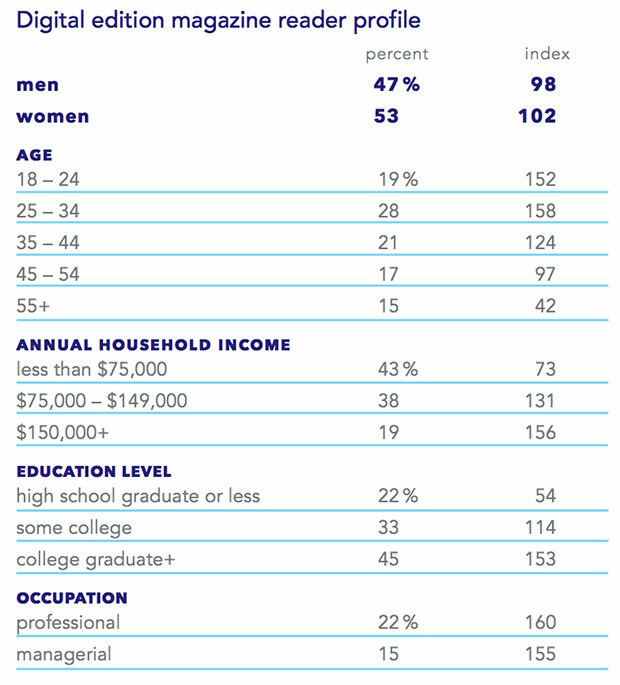 • Though young, 34% are engaged to be married or newlyweds. 68% of our readers engage the outlet’s content solely by mobile device. • Millennials understand the value of virtual communities. • Millennial entrepreneurs engage with digital communities to promote their businesses. • Based on a study conducted by The Association of Magazine Media, the average digital edition reader spends almost an hour per issue.